Farmer's Day celebrates the work of farmers and its importance for the country. Economy of Tanzania is heavily based on agriculture. Agricultural products estimate about 25.5% of gross domestic product, and 85% of it is exported to other countries. The main crops of Tanzania are maize, cassava, sweet potatoes, beans, bananas, rice, millet, sugar, cotton, cashew nuts, coffee, sisal and tea. 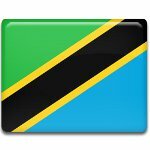 Also Tanzanians produce beef, lamb, chicken and pork. One of the major events of Nane Nane is agricultural exhibition, that is organized for one week around August 8 in various cities of Tanzania. Agricultural stakeholders and farmers exhibit new technologies, discoveries, ideas and alternative solutions concerning agricultural sector. Also government and private firms exhibit their services and activities to the public.